How often do you worry about the timber posts get corrosion where they were set in concrete. 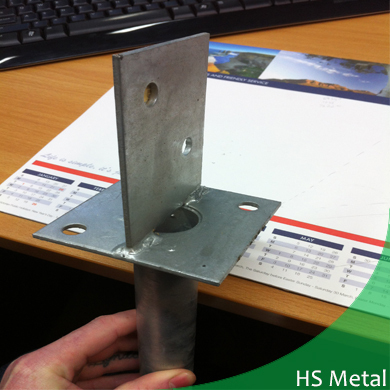 Now the stainless steel post base stand out to solve the problem. It could effectively protect the post from moisture and decay. Stainless steel post base are formed from 304, 304L, 316, 316L stainless steel plate. And after a series of processing, drilling, stamping, welding, post base is made. As known, stainless steel has the most corrosion resistant finish available. According to customers’ requirement, stainless steel adjustable post base can be made, in simple, length and width are adjustable, or per drawing, all kinds of steel post anchors can be made in our professional workshop. We’re able to supply sample for confirmation firstly then produce on large quantity. 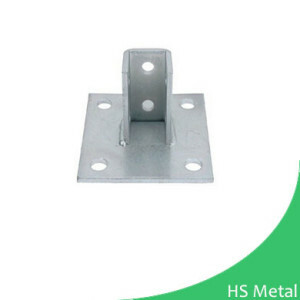 While for installing the post base for decking or into concrete, you may need stainless steel nails used for fastening stainless steel post base, nails.hsmetalproduct.com, which we serve nails as trader. We are manufacturer of stainless steel post base supports in China, offer OEM, brand label attach service and welcome importer, wholesaler, retailer, distributor to inquire us. Price and quality are some of the essential that we always prioritize. Besides, we also produce rust corrosion post base – hot dipped galvanized post base bracket and powder coated post anchors fixings. 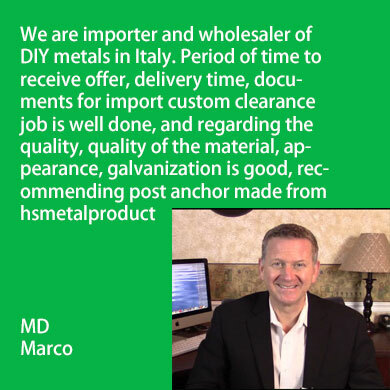 We really look forward to form stronger business relationships together with our clients around the world. When it comes to quality, we base it according to innovation and ultimate production. Our quality control system is actually built in order to make sure that you get top quality products as well as satisfactory services from us. Welcome to visit us. How to order stainless steel post base ?